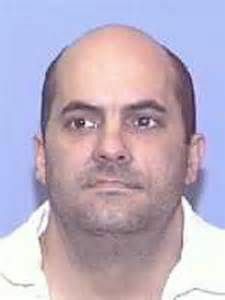 Daniel Clate Acker was executed by the state of Texas on Thursday, September 27, 2018. He was pronounced dead at 6:25 pm CDT, inside the Walls Unit execution chamber at the Huntsville State Penitentiary in Huntsville, Texas. Daniel was 46 years of age. He was convicted of the murder of 32-year-old Marquetta George on March 12, 2000, in Hopkins County, Texas. Daniel spent the last 17 years of his life on Texas’ death row. Daniel was born in Hunt County, Texas. He had previously been arrested and served time for burglary. Prior to his arrest for murder, Daniel worked as a plumber’s helper, and electricians’ helper, and a general laborer. Daniel Acker and Marquette George had been dating a short while when they decided to rent a trailer home together in February 2000. On March 11, 2000, the couple went to a nightclub called “Bustin’ Loose,” where they had an argument. Witnesses testified that they heard Acker threaten to kill Marquette. Acker was kicked out of the club, but returned several times looking for Marquette. Acker’s sister picked him up from the club’s parking lot and drove him to his truck, threatening to hurt Marquette if he found her with another man. Acker continued looking for Marquette the rest of the night. Unable to find her, Acker told his sister on the morning of March 12, that when he found Marquette and the guy he believed her to be with, he was going to beat them. Acker also threatened to kill Marquette in front of her mother. When Acker returned to his trailer later on the morning of March 12, Marquette was there, along with a bouncer from the club, Robert “Calico” McKee. Robert claimed that he took Marquette to her father’s for the night, however Acker did not believe him. When Acker confronted Marquette, she admitted to spending the night with Robert. Robert gripped her by the shoulders and shook her. Marquette agreed to show Acker where Robert lived, but instead fled the trailer. Two neighbors witnessed Marquette fleeing the trailing, yelling for them to call the sheriff. Acker followed her out of the trailer, grabbed her, forced her into his pickup truck, and sped away. The neighbors called the sheriff. Brodie Young was driving down the road when he witnessed Acker sitting in his truck, appearing to talk to himself. After driving past, he saw Acker drag a woman from the passenger side and lay her on the side of the road before driving away. Brodie drove to the sheriff’s office to report the incident. Acker turned himself into law enforcement after Marquette’s body was found. Marquette had been strangled and suffered blunt force trauma. Either injury would have been enough to cause death and a medical examiner was unable to determine exactly which injury was the cause of death. She also had road rash, consistent with jumping out of a moving vehicle. During his trial, Acker alleged that Marquette jumped from his moving truck and died. Please pray for peace for the family of Marquette. Please pray for strength for the family of Daniel Acker.